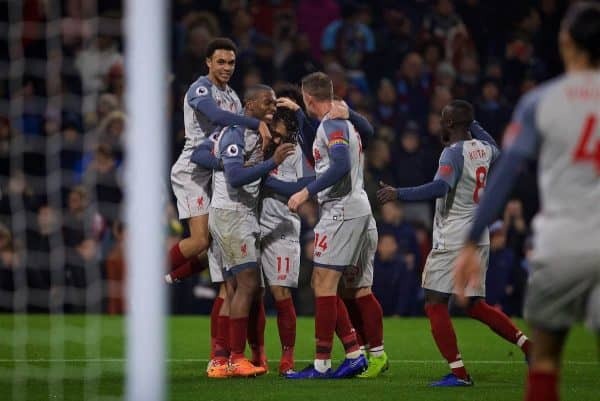 The media were impressed by Liverpool’s character and by Naby Keita‘s performance in the 3-1 win at Burnley, but less so by Jurgen Klopp’s rotation. The Reds produced a brilliant second-half comeback at Turf Moor to keep within touching distance of Man City. After falling behind to Jack Cork’s tap-in, a quickfire double from James Milner and Roberto Firmino turned the game around, before Xherdan Shaqiri’s stoppage-time finished sealed a superb win. It was a fantastic three points for Liverpool, also the perfect response to City’s win at Watford 24 hours earlier, and the Reds deserve big credit for fighting back and delivering under extra pressure. Klopp will be delighted with his players’ efforts—but here’s how the media assessed the win. Whether this latest gutsy win proves the same, only time will tell. But this was arguably one of Liverpool’s biggest wins of the season, backing up their derby heroics of three days previous. And if they are there in May, they’ll look back on the last few days and wonder just how crucial they can be. Their last-gasp win over Everton on Sunday was special, of course, but it needed following. Another box ticked, another away win, another gut-check passed by the men from Anfield. 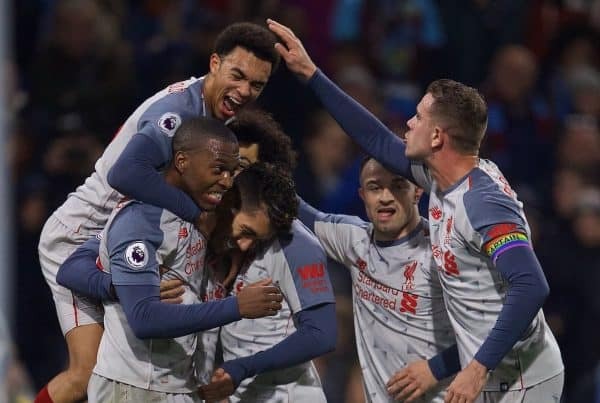 Two games in the last three days has seen four goals hit the back of the net in the second half ensuring Liverpool left each game with three points in the bag. With a hectic list of fixtures ahead, and decisive ones at that, the confidence and morale boost that provides cannot be discounted as the Reds continue on the path to find their rhythm. The Reds’ victories have been without the drama of the hunt or the excitement of the leads they build up. Instead they are creeping. Perhaps they are warming up. Rather than worry about City’s capacity to overwhelm, Liverpool and their supporters should be reassured by the manner with which progress is being made. 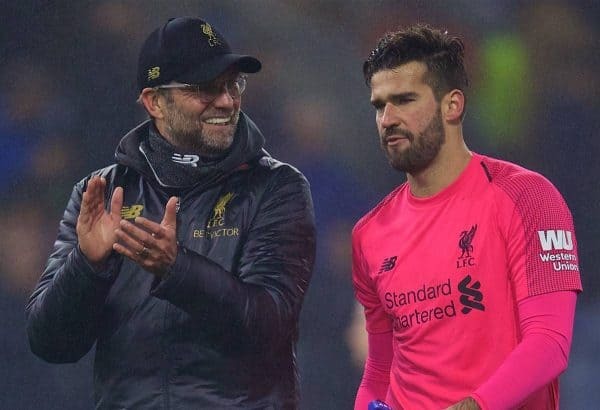 But, perhaps most importantly, Klopp saw proof that his players possess the force of will necessary to overcome setbacks, no matter how rare they are, and no matter how many changes he makes. How’s that for character? What must Manchester City make of it all. Pep Guardiola’s side keep laying down the gauntlet and Liverpool keep on responding. He made substitutions at exactly the right time and it is his own winning mentality that inspired the second-half comeback. There is so much to admire about what Klopp has created and it comes down to shrewd recruitment. 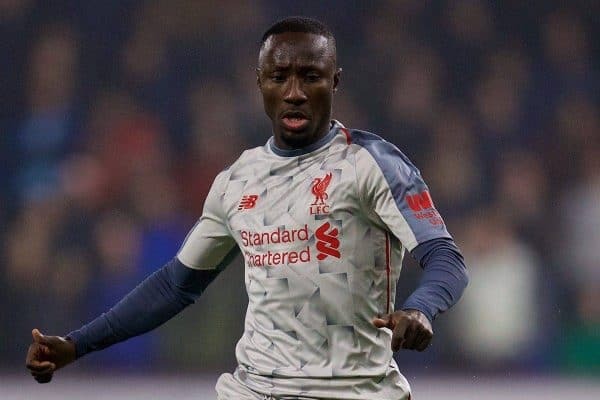 Naby Keita marked his first Premier League start for three months by delivering his most impressive performance for the Reds. Behind him Virgil van Dijk was an absolute colossus once again, while Alisson Becker was a commanding presence between the posts and pulled off another world-class save. That is one rock-solid and exciting spine. And it almost didn’t pay off. Liverpool were sluggish in the first half, lacking any real spark as they failed to muster up any significant chances of note – proving the Reds can ill-afford to leave out any of their dangerous front three of Mane, Mohamed Salah and Roberto Firmino – none of whom started the match. As well as the major overhaul in personnel, Klopp switched to a 4-4-2 formation with Milner on the left and Shaqiri on the right with Daniel Sturridge partnering Origi. But it just didn’t function before the interval. The front two were largely starved of service. Klopp’s idea was to gamble, to shuffle his pack in a busy period and hope his squad would prove strong enough and deep enough. It was hairy at times, but in the end the German was proven right. Credit where it’s due. Bournemouth away on Saturday lunchtime is an unenviable trip before that must-win Champions League game in Naples next week. Klopp has prioritised those and, although that might look impolite to Sean Dyche, it is difficult to pinpoint exactly where their rest should have come otherwise. Based on this performance, City still have the edge on them, and it may be that Liverpool have to prioritise one trophy, rather than try and compete for three, as the season goes on. 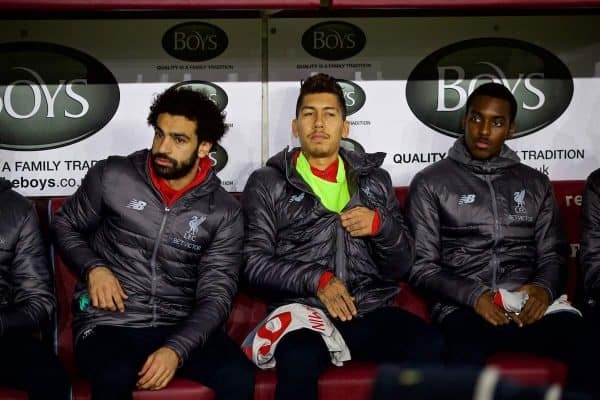 The squad is far from the finished article, but it was a reminder that certain players are not of the level required and further additions need to be made as the Reds’ usual suspects were called on to turn the game in Liverpool’s favour. His selection came after his heroics at the death against Everton and the need to offer a rest to the usual front three, and it seems the decision to name him in the starting lineup was one borne out of emotion rather than logic. Unlike a few of his team-mates who struggled to take their opportunity, Keita’s energy and forward impetus was a shining light in what was a largely dull first half. He continually looked to put the Reds on the front foot and was not shy in matching Burnley’s physicality in the middle of the park or showcasing the ability we all know he has—which was crucial in addressing the lack of connection between the midfield and forwards in recent weeks. A very impressive performance. Despite playing a holding role, he was the most likely starter to unpick Burnley‘s guard. Had a long-range shot tipped onto the post by Joe Hart early in the second half and then started the move for Milner’s equaliser. He will hope he can build from this. But the energetic Guinean produced a decent display in the hub of Liverpool’s midfield, and showed glimpses of the player he can be for the Reds – and almost scored. If Klopp can get him firing on all cylinders he could prove to be the difference as to whether Liverpool finish the season with a trophy or not.